What to watch at the cinema this September! There is lots of movies coming out this month. Of course, here we talk about Japanese movies only. So, why not see what we should watch this month. There is some recommended movies, chosen by me and I think that you’ll like them… at least. 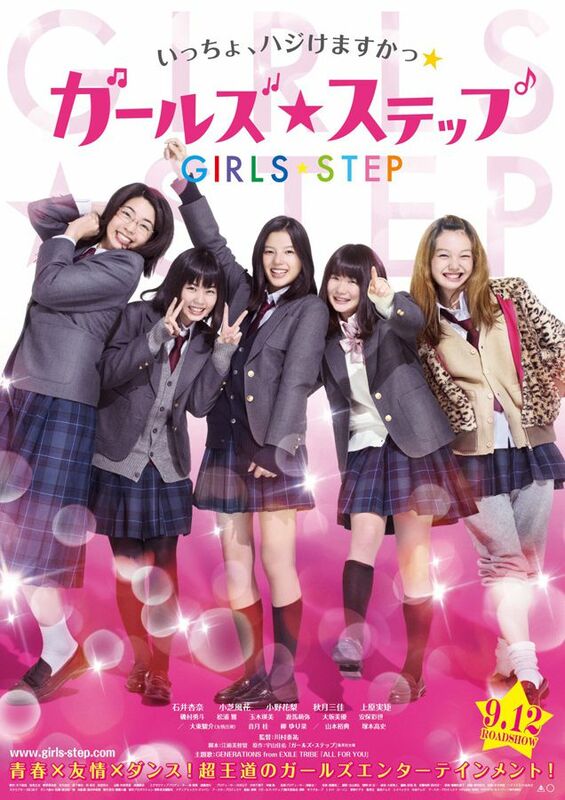 Synopsis: Azusa and Narumi are 2nd grade high school students. They lack confidence and also any kind of ambitions. Hazuki, Tamaki and Mika are also unnoticed students at the same high school. These five girls form a dance club and begin to dance to get credits. They soon learn the joys of dancing and also learn to express themselves. 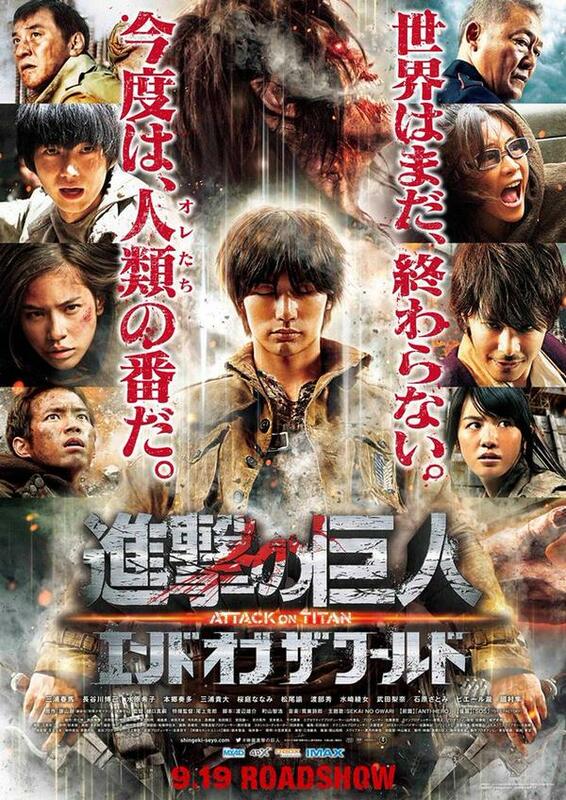 Synopsis: Eren leaves to restore a break in the wall destroyed by a Titan. He comes under attack by the Titans and is cornered. Shikishima comes to his aid. The titans never stops attacking. Eren is now injured and tries to protect Armin, but is swallowed by a titan. A Titan with black hair appears and begins to expel the other titans. 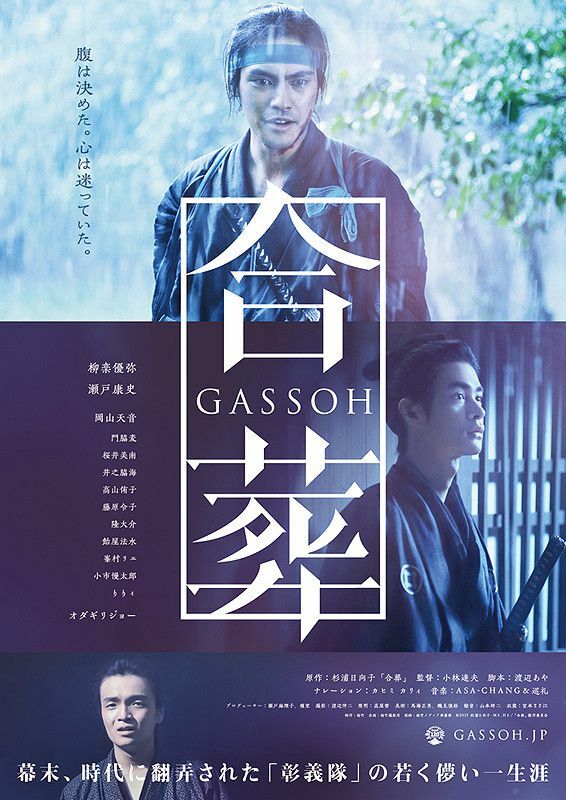 Synopsis: In the year 1868, three young men join the elite Shogitai division of the Shogunate. The Shogitai fights to the end and opposes the dismantling of the feudal military dictatorship known as the Bakufu system. Akitsu Kiwamu is loyal to Tokugawa Yoshinobu. He breaks off an engagement with Fukuhara Teijiro’s younger sister and joins the Shogitai. Yoshimori Masanosuke is a childhood friend of Akitsu Kiwamu and Fukuhara Teijiro. He is kicked out by his adopted family and doesn’t have a place to go. He then joins the Shogitai. Fukuhara Teijiro is upset that Akitsu Kiwamu broke off the engagement to his younger sister. He crosses paths with Akitsu Kiwamu and Yoshimori Masanosuke. Akitsu Kiwamu advises Fukuhara Teijiro to join the Shogitai. 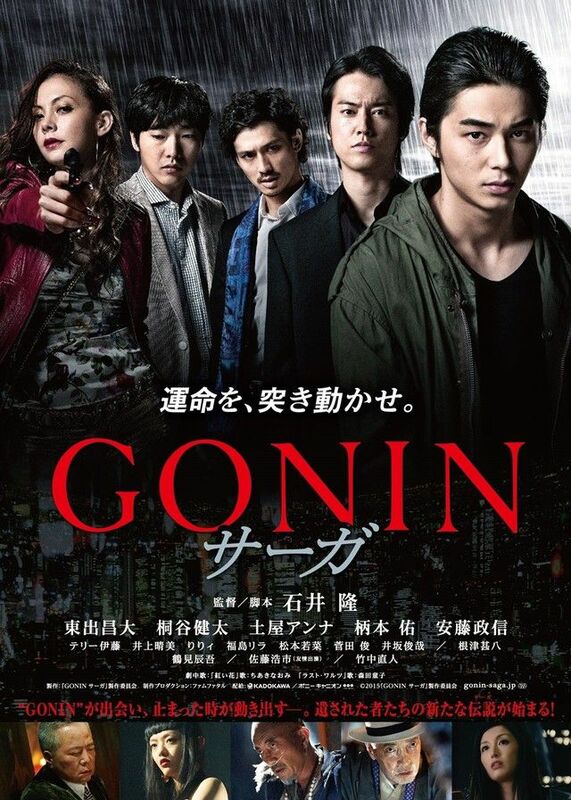 Synopsis: Seiji is a third generation “Gosei kai” gang member. He works to build up the group’s strength. Meanwhile, a journalist investigates a case that occurred 19 years ago. He meets Hayato, Daisuke and Asami. Check them out! If you’re not in Japan, I think they will be available for order from some online stores in near future! Stay tuned!